Add finely chopped onion into the batter.Add in adequate water to make the batter very thin. Cook the dosa by covering the lid in a medium flame.After a 1 minute, add 1 tsp of oil ,flip the dosa and cook the other side too. 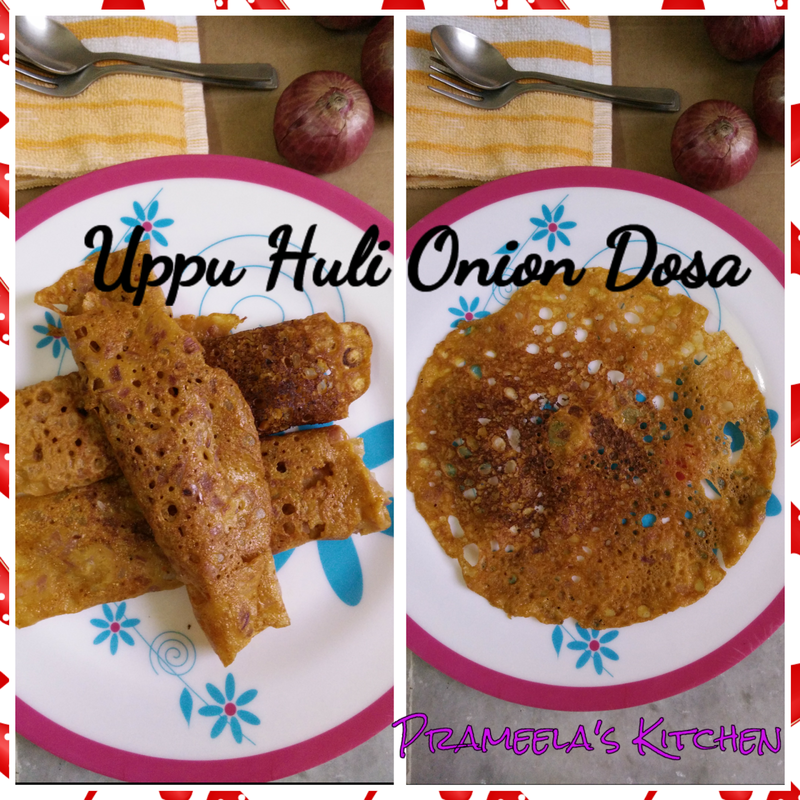 Make sure chopped onion is cooked nicely. 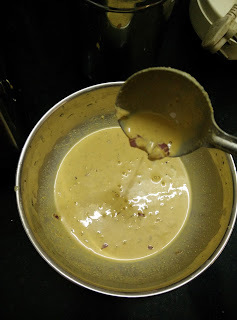 You can grind 2-3 onions and add it to the batter instead of adding chopped onions. 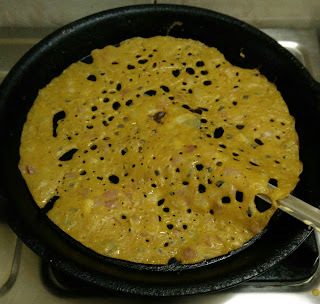 If you do so,you can keep consistency of the batter as normal dosa batter. 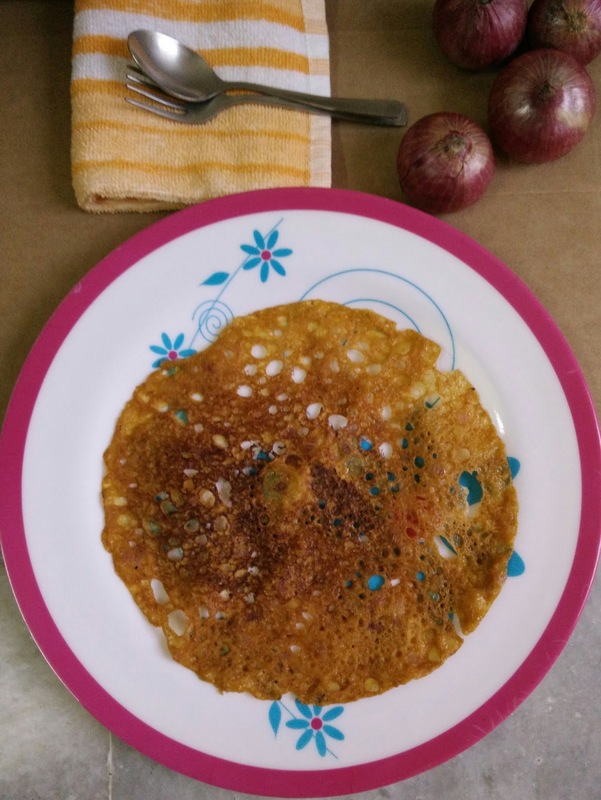 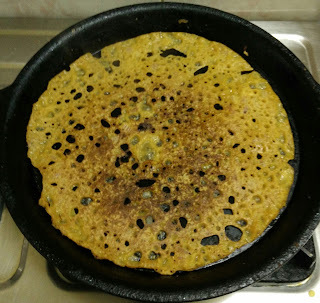 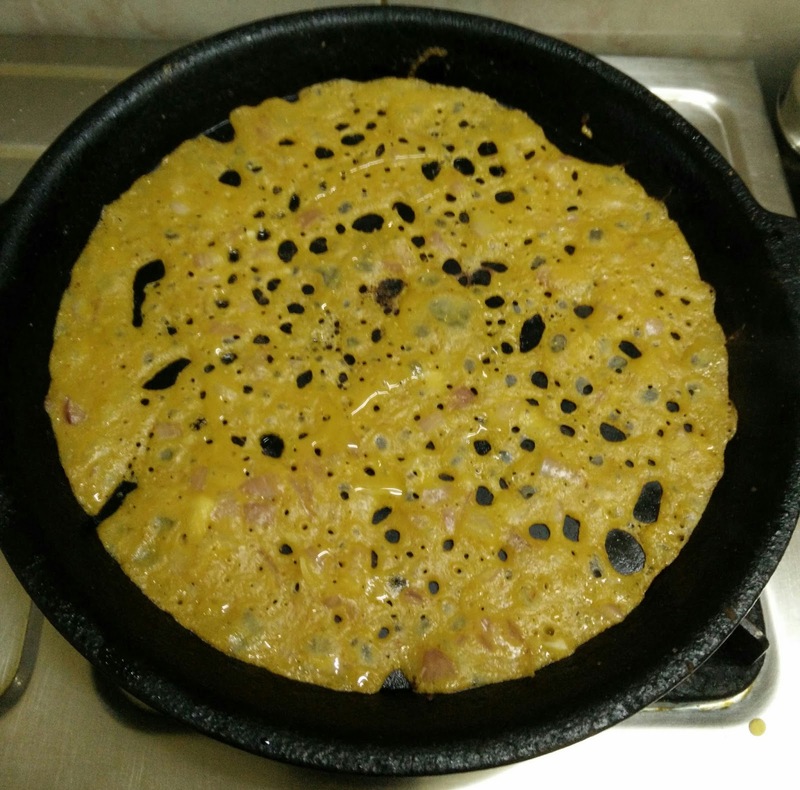 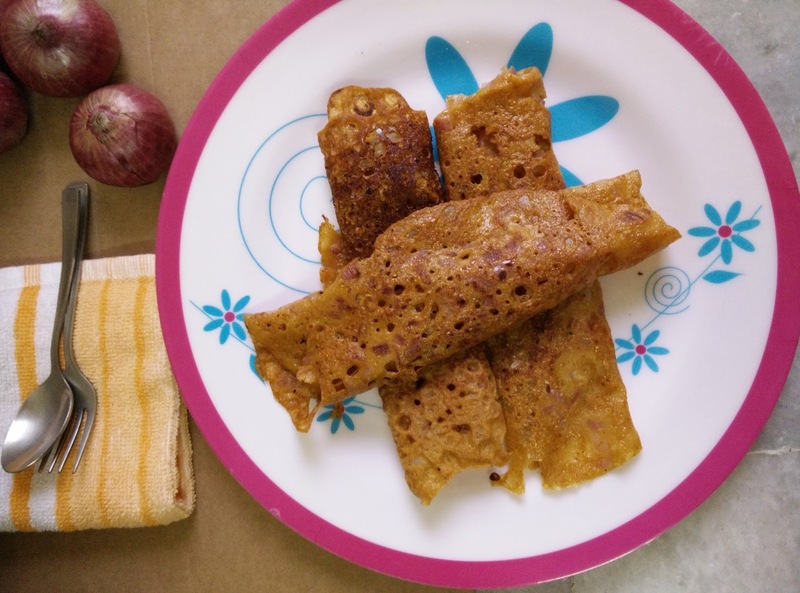 Make sure you pour the dosa like neer dosa ( splashing the batter all over the pan to make thin dosa( pan cake) ) if you make the batter very thin. 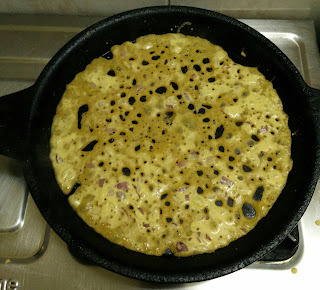 Mix 2-3 tbsp of rice flour to the batter if the dosas are not coming up smoothly.